2011 Audi Q7 TDI quattro with only 112k miles. 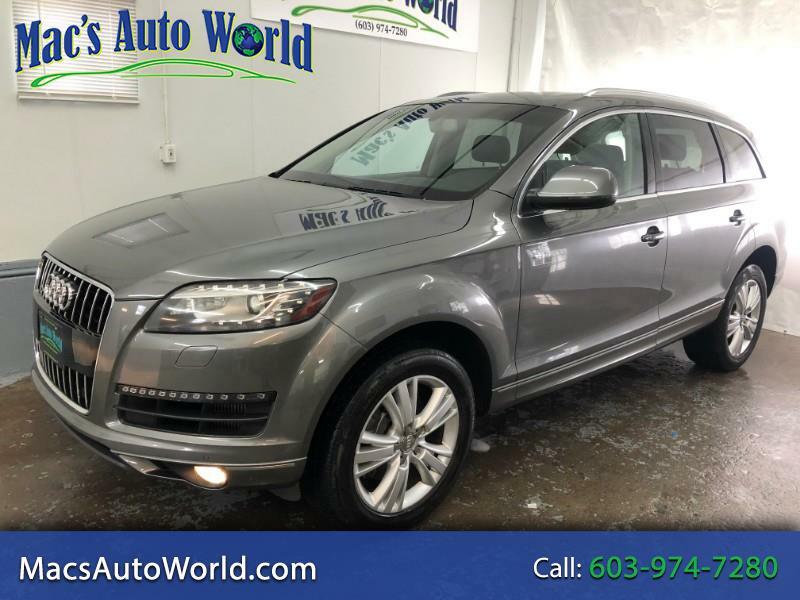 This Q7 is the Premium Plus model and comes loaded with heated leather, backup camera, sunroof, bluetooth and full power options. These Audi diesel trucks come complete with 3rd row seating and still get great fuel mileage for a vehicle of its size! the exterior of this truck is in great shape, with no dents or scratches anywhere in the paint. The alloy wheels are in great shape with no corrosion or curb rash at all. The interior of the truck is just as nice with no wear or or stains anywhere in the seats or carpets and everything works like new! These Audi trucks are great in any weather with the legendary Quattro AWD and are a nice smooth ride down the road. To apply for credit union financing or see other great deals like this one, visit us at www.macsautoworld.com or stop by today!